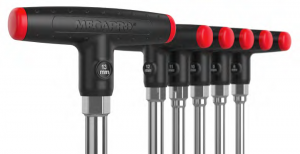 The T Handle Nut Driver is White Box Designs latest Industrial Design collaboration with Megapro. Evolving Megapro’s visual brand language into a T shape form factor that was cost effective and adaptable for multiple sizes were key areas of focus. The result is a clean comfortable form that is professional and robust. 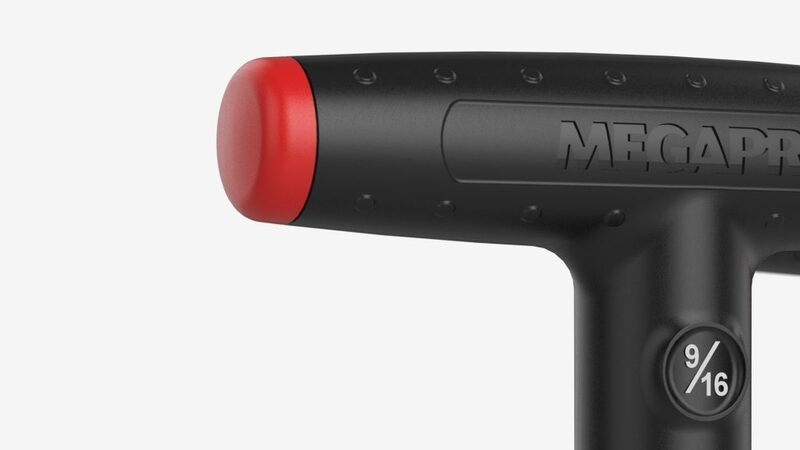 The four line bump texture, the separate coloured end caps and the inset branding surface are other key visual brand language details that bring the T-Handle Nut driver into the Megapro family. Other important industrial design considerations include the exposed hex shaft to attach a wrench for greater leverage on extra stubborn nuts and bolts. The inset surface area for the size nomenclature has a generous high wall that helps prevent the nomenclature from wearing off. White Box Design has been working with Megapro for over 20 Years and has helped drive Megapro’s international success by designing professional products that are visually and emotionally appealing, great to use, and communicate Megapro’s brand language.